HBO has unveiled the trailer for a documentary titled Andre the Giant, profiling the life and career of professional wrestler André Roussimoff, who gained notoriety in the 1980s as "Andre the Giant". This HBO Sports documentary, made by "30 for 30" filmmaker Jason Hehir, is an "ambitious, wide-ranging film" that explores Andre's upbringing in France, and his celebrated wrestling career in the WWE. Many may recall that Andre the Giant also played Fezzik in the comedy The Princess Bride, which was one of his few movie roles along with Micki + Maude and an uncredited appearance in Conan the Destroyer. Born in 1946, André was diagnosed with acromegaly (and gigantism) in his twenties, and passed away in 1993 at the age of 46. This covers the good and the bad of his life, and it looks like a fascinating film about a unique human being. "Andre the Giant" was literally the biggest celebrity in the world. HBO Sports, the WWE, and the Bill Simmons Media Group present Andre The Giant, a documentary examining the life and career of one of the most beloved legends in WWE history. The ambitious, wide-ranging film explores Andre's upbringing in France, his celebrated WWE career and his forays into the entertainment world. Andre Rene Roussimoff was born in 1946 in Grenoble, France. In his early teens, he exhibited signs of gigantism though he was not diagnosed with acromegaly until his twenties. He began his training in Paris at 17 and eventually became known in wrestling circuits around the world. In 1973, Andre joined the organization now known as World Wrestling Entertainment, where he became a superstar and rival of WWE legend Hulk Hogan… Andre the Giant is directed by filmmaker Jason Hehir, director of 4 episodes of ESPN's "30 for 30" previously. 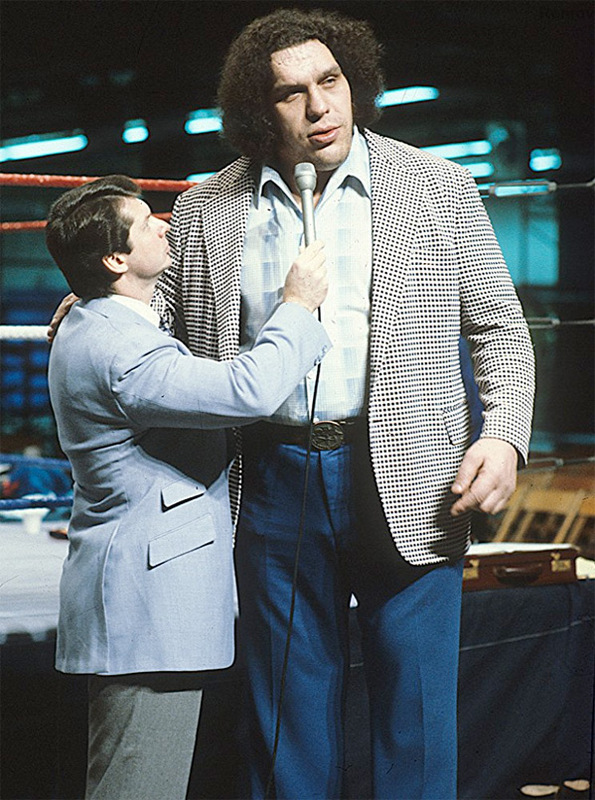 HBO will debut Andre the Giant starting April 10th this spring. Who wants to watch?